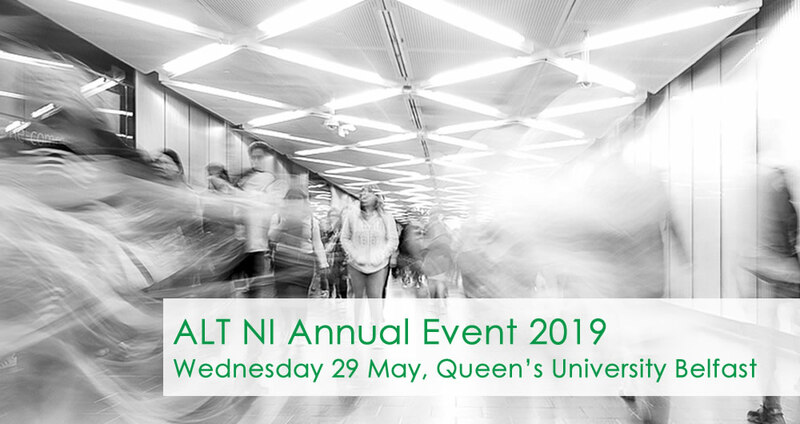 The ALT NI Committee is pleased to announce the date for this year’s Annual Event, so add 29th May to your diary! Following your feedback from our launch last year, the format will include shared experiences from our members. Therefore, please submit an abstract for the projects or work you have been involved in over the last year. It’s a short form and you have until Friday 12th April to submit. Please send Craig (craig.dooley@kcl.ac.uk) any queries about the process. We will be picking up on the ALT Conference 2018 themes across the day, which viewed learning technology through participation, collaboration, critical perspectives and openness. We’re really looking forward to getting together with members, for a day of networking, inspiration and sharing.